Interactive mandalas created to raise awareness of environmental pollution from plastic waste. 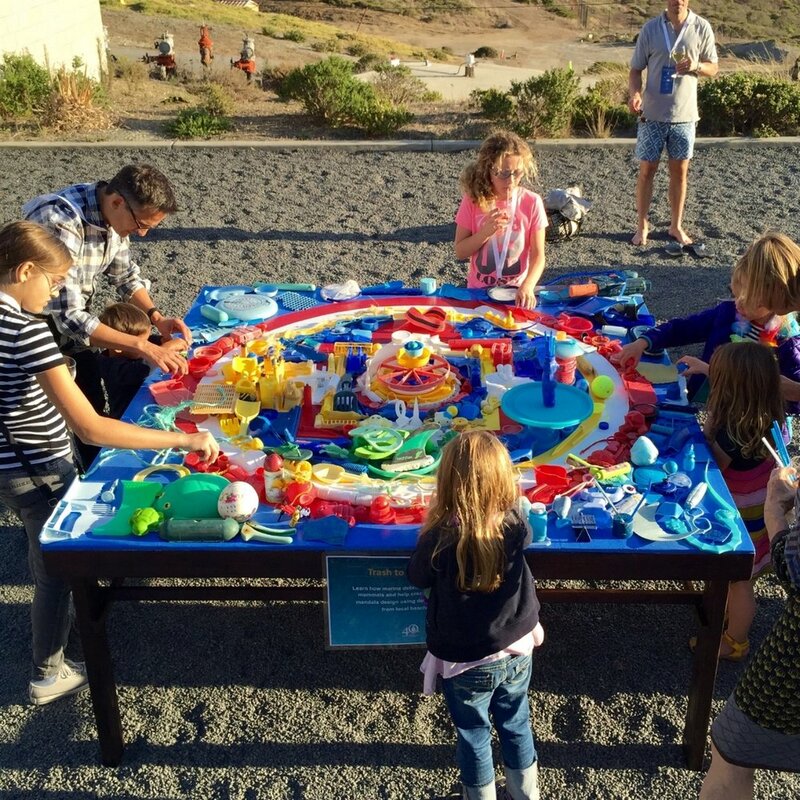 Inspired by traditional Tibetan Buddhist sand mandalas, the public was invited to co-create 4 ft square mandalas by placing found beach plastic debris on pre-painted board. Afterwards, all plastic was recycled or re-used.